From January 2015, you, as a homeowner, are now responsible for your septic tank or small sewage treatment plant. The new rules were introduced by (Department for Environmental Food & Rural Affairs) and the Environment Agency to simplify the way septic tanks & small sewage treatment plants are regulated in England. If you have septic tank or small sewage treatment plant serving your property, by law you must comply with the new ‘General Binding Rules’ by making sure your off main drainage system is fit for propose and maintained properly. If you need site visit to make sure your off mains drainage system complies please contact us. They are underground tank made of two chamber where the solids sink to the bottom and the liquids flow over into a drainage field. In no circumstances a septic tank can discharge into water course. Are not covered by the new ‘General Binding Rules’ they simply store the waste water. Once full they must not be allowed to overflow or leak and emptied by licenced contractor. They create the right environment for aerobic bacteria to be produced. 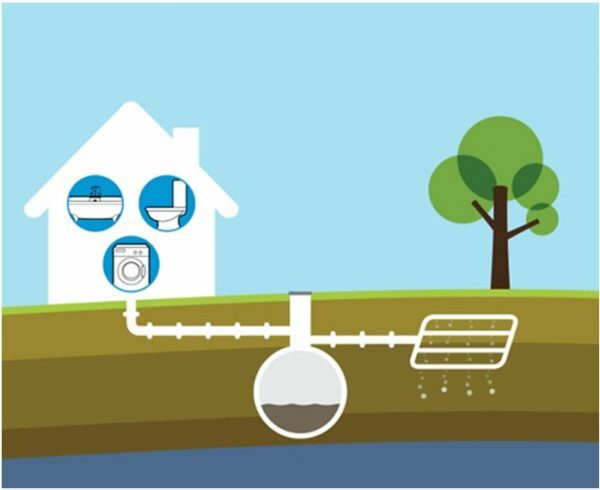 The addition or presence of air creates microorganisms to break down the sewage, with various treatment and settlement zones. Treated effluent can enter drainage field or watercourse if the discharge complies with the Environment Agency ‘General Binding Rules’ in some cases permit might be required. Have your septic tank or small sewage treatment plant emptied by a registered tank emptying company. You should empty the tank at least once a year unless manufacture recommends otherwise. Maintaining your septic or sewage treatment plant by chosen company, regular servicing per manufactures maintenance schedule, and solve faults by fixing immediately. The maximum discharge into the ground is limited to 2000 litres of treated sewage per day or 5000 Litres per day of treated sewage to enter flowing watercourse. Calculation can be made using the ‘British Water Flows & Loads – Part 4. On installing any new system if instructed we can speak on your behalf to check for all environment factors involved. In some cases, slightly more details permit consent might be required before installation takes place. We only install the latest products with BS12566 standard that comply to the Environment Agency ‘General Binding Rules’. If you sell your property you must inform the buyer in writing that the property is served by septic tank or small sewage treatment plant. To view the Environment Agency General Binding Rules please click here.